Bronzeville is a truly distinct pocket nabe insideDouglas. 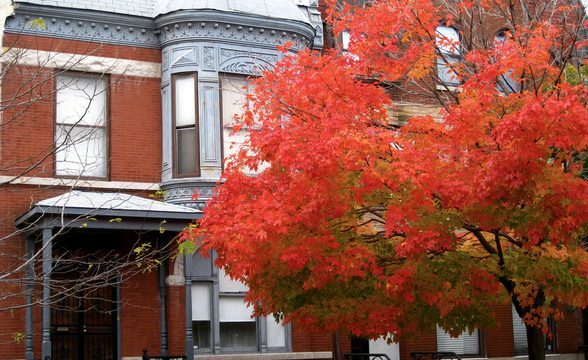 One of the most lively areas of Chicago during the Jazz Age, Bronzeville served as the Midwestern equivalent to NYC’s world-famous Harlem, housing legendary performers Louis Armstrong and Nat King Cole. That history’s still celebrated today through vibrant murals, the Walk of Fame (sidewalk plaques honoring Bronzeville icons), quality night clubs (where people come to here amazing live music, not just to bump and grind), and delicious southern-style cuisine. 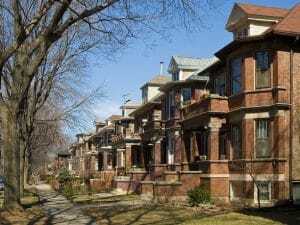 A byproduct of the Great Migration and a living historical monument to the Jazz Age, Bronzeville is one of those lost nabes in Chicago. While it is not as happening as it once was, when it was Chicago’s answer to the Harlem Renaissance, you can still find pieces of African American history all around. However, public art reigns supreme in illustrating the rich history that defines this nabe primarily along Martin Luther King Drive. Parts of Bronzeville look like a lost city. Ruins of one-beautiful art deco buildings dot the streets, as well as street names that allude to its past as a thriving center of African-American culture. Then came the slums, then projects, now mixed income public housing. The area is not very safe and is riddled with petty crime. Unfortunately, if you’re white you’ll start to understand the expression “stick out like a sore thumb”. Bronzeville is sleepier today than in its heyday as Chicago’s jazz capitol. I always get a somewhat empty and isolated vibe, but one doesn’t have to stray far to see a relic of good times past. It’s centrally located to the Sox, Chinatown, IIT, the Dan Ryan expressway and the Green Line. You really can feel the history in Bronzeville. Not only is there an abundance of plaques and statues commemorating and celebrating various events, Bronzeville is one of the best neighborhoods in which to read the history in the landscape. 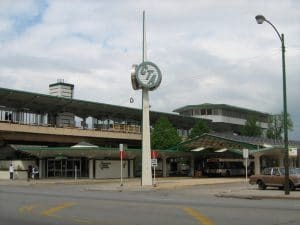 Whether its the historic graystones of MLK Drive, Mies van der Rohe’s Internationalist IITcampus, the Stephen A. Douglas tomb, or the 47th Street Blues District, there’s a lot of history to take in and that’s why I think it’s one of the city’s most interesting neighborhoods. I only wish there was more to do, eat, and drink. Bronzeville’s got a bit of a ghost town vibe these days—not because it’s necessarily deserted, but simply because this neighborhood used to be absolutely thriving with life. It’s always a bit strange to walk an area whose heyday belongs to the past. Touring it, you’ll see monuments and murals honoring Harlem Renaissance icons, most of the top bars and clubs of the day turned into historical sites. 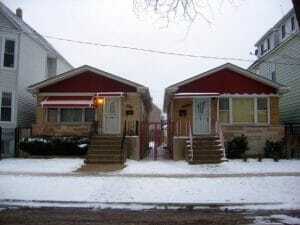 Revamping run down homes in Bronzeville has become a slight trend as of late. Residents have mixed feelings about the area possibly getting gentrified. Whatever the case, Bronzeville should be a place to see while in Chicago,if not simply to view what was and ponder what may come to be.